Heat oil in a large heavy bottomed Kadai / pressure Pan. Tamper the mustard seeds, add asafoetida and sauté the chopped onions. Add the turmeric powder, dhania powder, cumin powder and garam masala powder and fry for a minute. Add the chopped cabbage and peas and fry for a couple of minutes, until the content heats up. Add one and half cups of warm water. When the water comes to a boil add rice and stir well. Pressure cook in low heat for 10 minutes. If using a heavy kadai, cook for 20 minutes with lid. If using a rice cooker, transfer the contents to the rice cooker and cook until done. Add the curry leaves and salt and stir. Drain water and add the basmathi rice and stir. Fry for a minute. Add the curds and stir. Mix in ghee and ghee fried cashews or sliced almonds. Serve warm with your favorite raitha. 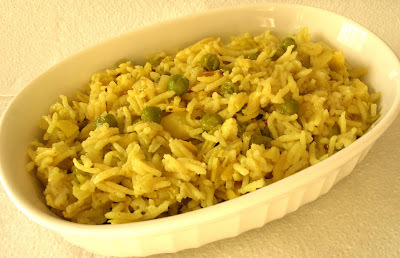 If you want a low fat cabbage peas biryani, omit the ghee and ghee fried cashews or almonds. Cabbage and peas is classic combo in my house! :)) Looks great,photo is good too as usual.Enjoy Myth! Adding Cabbage is an interesting twist to biryani, It sounds and looks good, think I'll try that next time. nice combo, looks so good. Happy Holidays and have a Happy NewYear. Merry Chrishmas, Happy New Year and Happy Holidays to everyone. Asha: Yes, its a classic Combo and I love it. Trupti: It tastes good too. 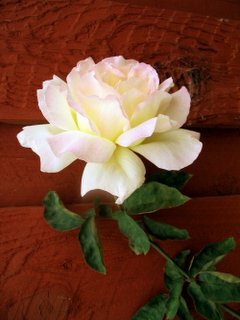 Nalini: Try and Let me know if you liked it. Jaya: Cool. Try this recipe. Lakshmi: Yes, its a wonderful Combo. thanks. Dilip: Try and Let me know how it turned out. Cabbage biryani sounds very interesting and different. Will definitely trythis soon. Thanks for sharing the recipe.